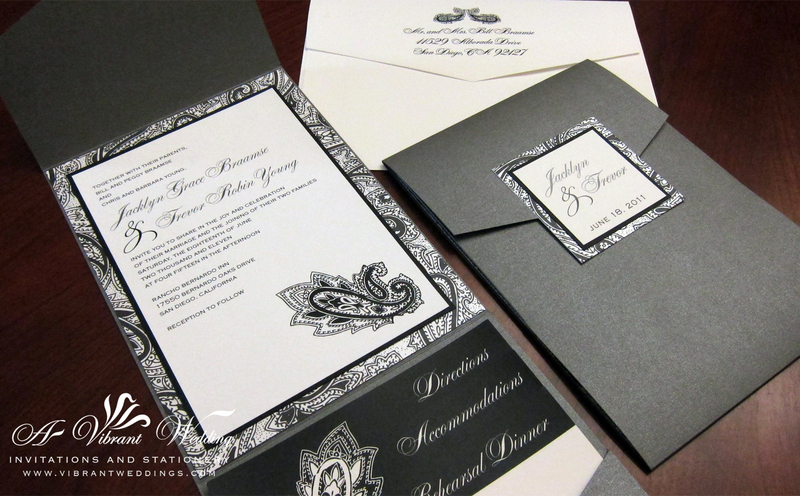 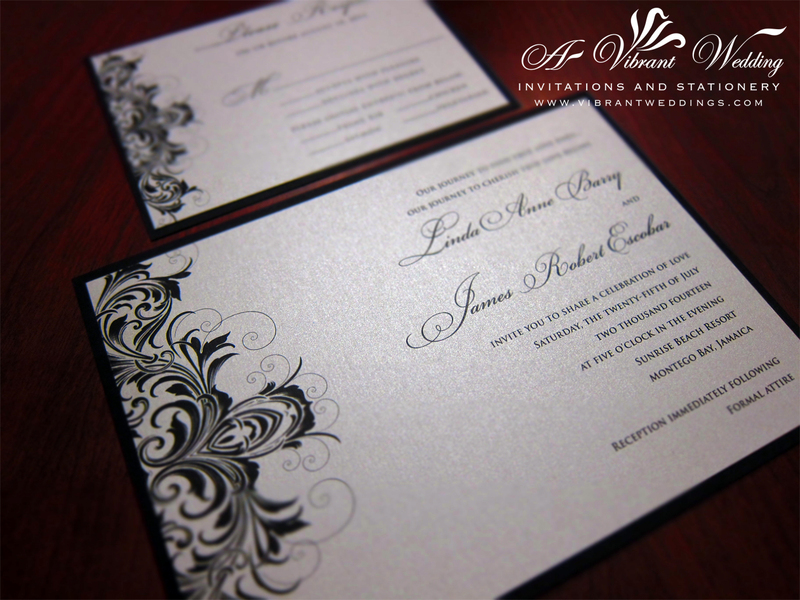 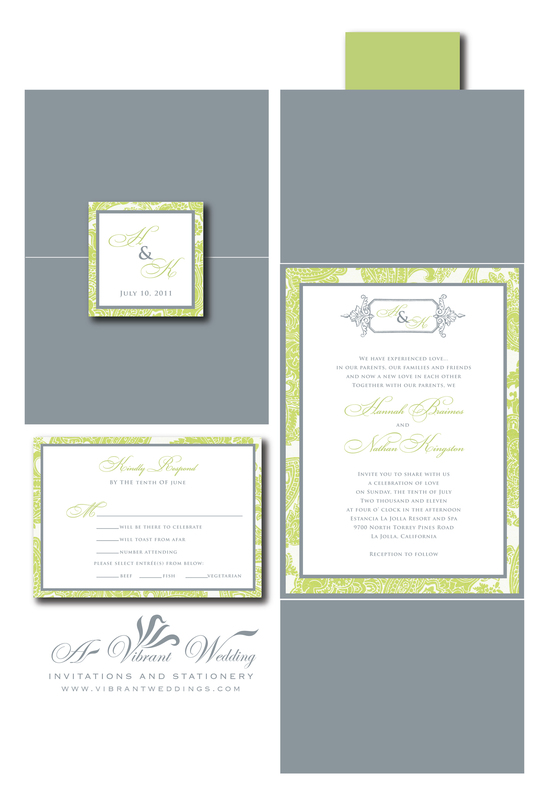 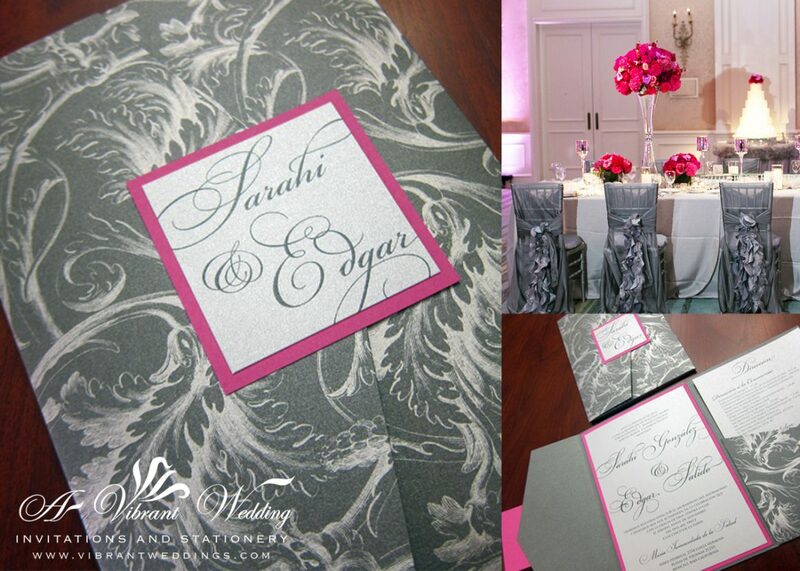 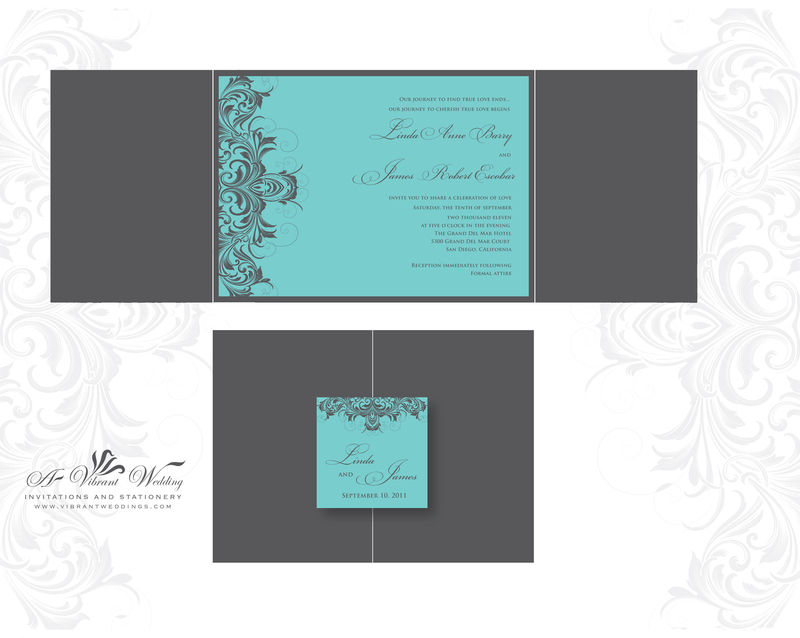 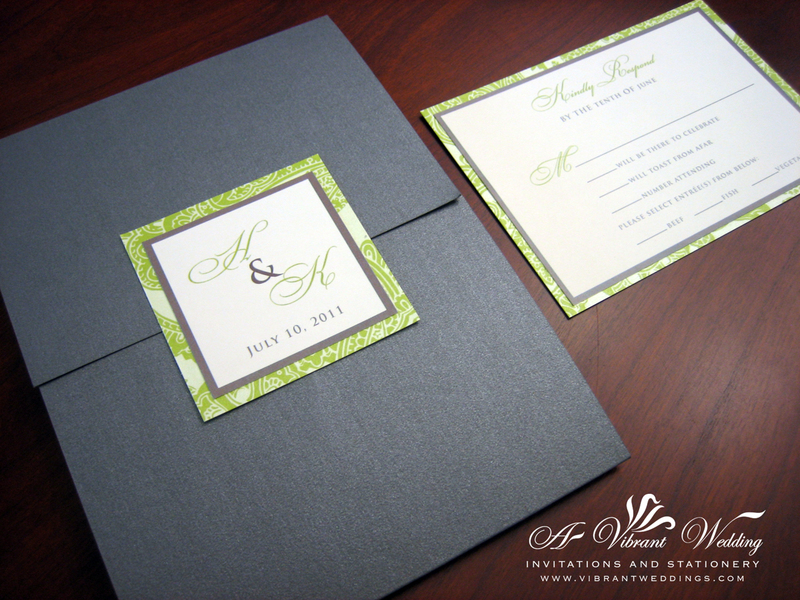 $8.00 per invitation suite (as shown) and includes two blank matte envelopes. 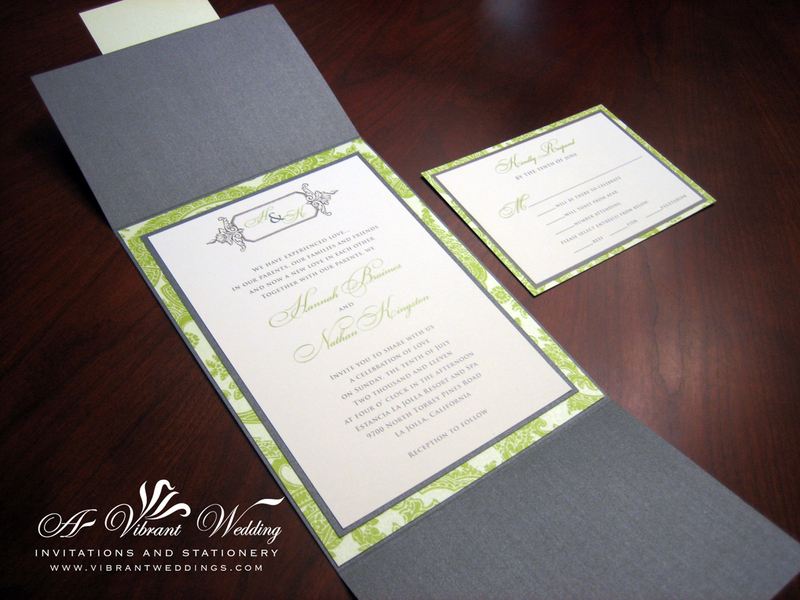 5×7″ Metallic Grey Gatefold invitation, green pattern card-stock border, a second gray metallic card stock border, printed on matte card-stock paper, with two blank matte envelopes. 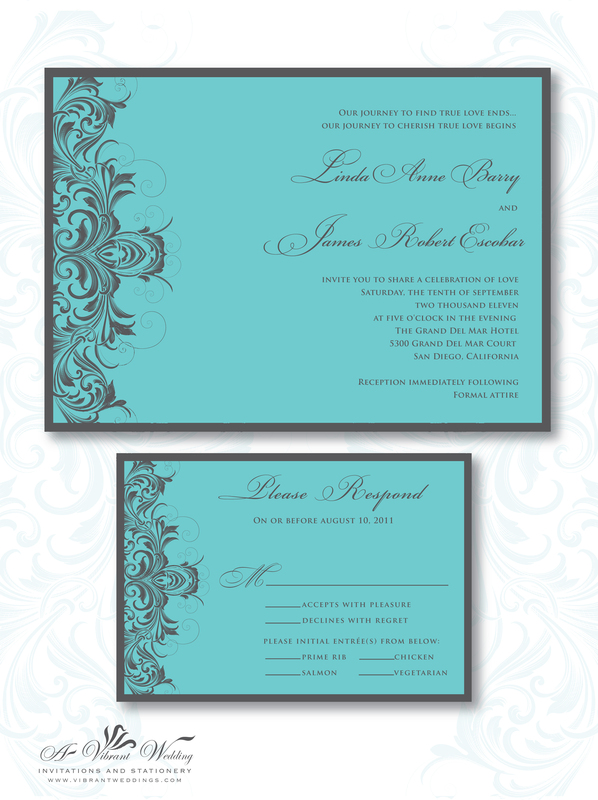 Included: Triple-layered Gatefold style invitation, 3-layered outer seal, 2-layered RSVP card, and 2 blank matte envelopes. 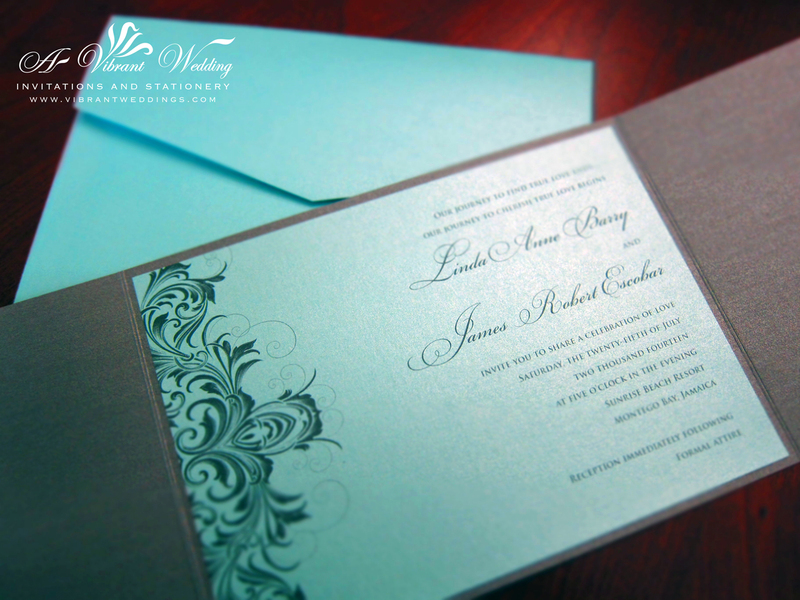 Triple-layered invitation (three sheets of paper assembled together).